We are horsemen making products for horsemen. 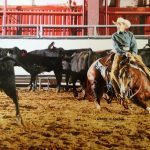 The blankets are built right here at our place in Marietta, OK. Use these blankets for work or pleasure riding, for the training barn, and for the show pen. Use the same pad for all those purposes as they keep their good looks under hard use. Our medium weight pad features a woven wool top guaranteed to consist of at least four pounds of wool, a layer of porous, non-absorbent padding, and a layer of Merino fleece. We add top grade leather wear-leathers that we can customize with your ranch name, brand, etc. These pads run 34″ withers to hips (we carry a few shorter pads) and 36″ and 38″ side to side, depending on the particular pattern. The different colors and patterns are displayed on our shop page. 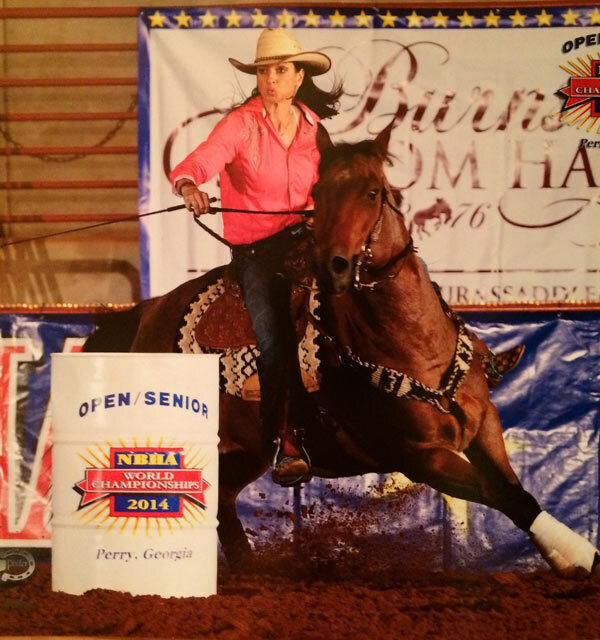 Medium weight pads are suitable for most training, showing, or pleasure riding. Our heavy weight pad features a woven wool top of six pounds and the same filler, fleece, and wear-leathers as the medium weight pad. The length from withers to hips is also 34″. The length side to side on most of these is 38″. 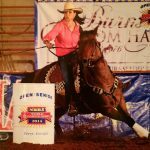 The heavier weight blanket is good on the horse that is saddled all day(for example Versatility and Stock Horse events, team penning and sorting, trail riding and ranch work). We recommend them for the hard working horse or any horse that could use a bit more protection. Many riders prefer this weight pad. Here we offer a thicker layer of protection by sewing a 1/2″ layer of felt under the sides of the blanket-not across the back-before adding fleece and filler. 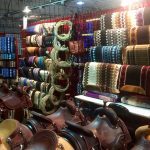 We make these especially for rope horses, working ranch horses, and horses that might have particular needs; the low-backed horse, the older horse, etc. We have also found that they work well on the round backed horse.